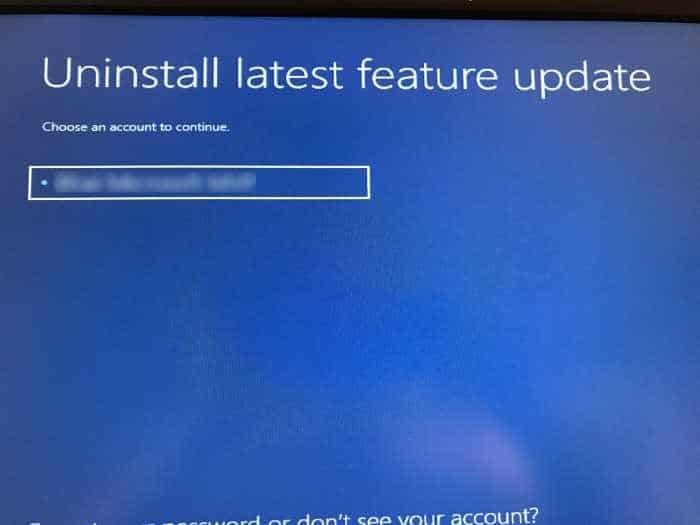 Is your Windows 10 PC not booting after installing an update? 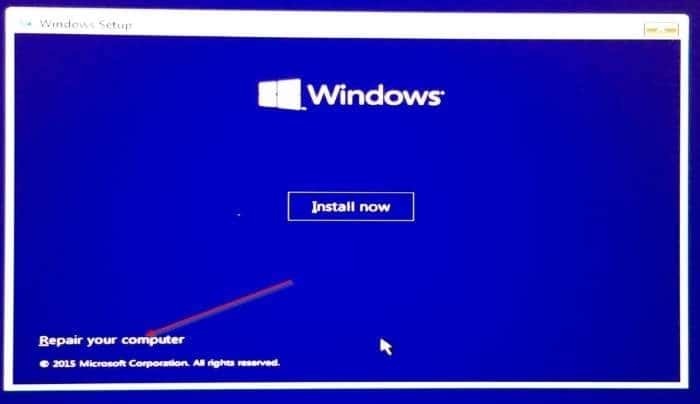 Want to uninstall the recently installed update without booting into Windows 10? Want to uninstall a Windows update right from advanced startup options? In this guide, we will see how to uninstall a Windows 10 update when your PC is not booting. Up until now, on an unbootable PC, using system restore point was the only option available to uninstall a Windows update. Since the system restore feature is turned off by default in Windows 10, there was no way to uninstall an update when it stopped Windows 10 from booting. 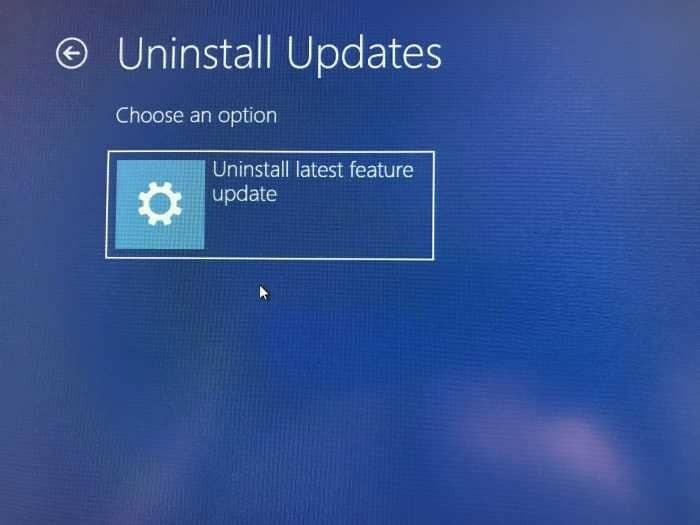 Luckily, you can now uninstall a recently installed feature or quality update even if your PC is not booting. 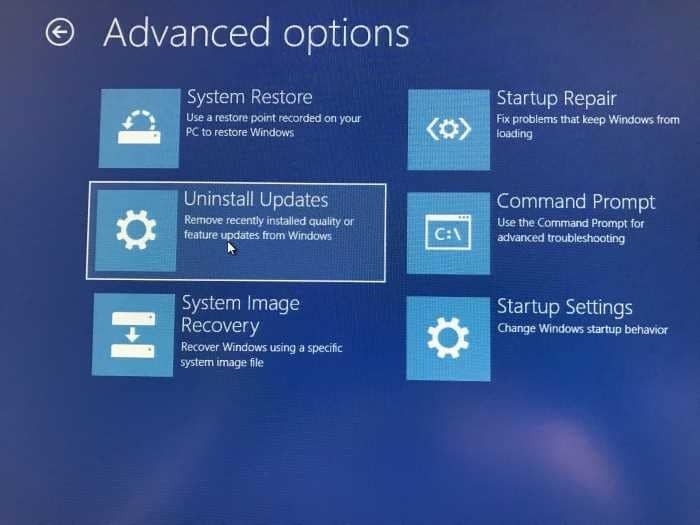 With Windows 10 Redstone 5, the advanced startup options screen offers an option to uninstall recently installed feature or quality update in Windows 10. The new option comes in handy if your PC fails to boot after installing an update. Complete the given below directions to uninstall a quality or feature update via advanced startup options without booting into Windows 10. IMPORTANT: The option is present in Redstone 5 and later versions of Windows 10 only. Step 1: Open advanced startup options. Since there are many ways to access advanced startup options, please refer to our 4 ways to access advanced startup options in Windows 10 article. If your PC is not booting, connect your installation media or the recovery media to your PC, boot from the installation/recovery media, click Next button when you see the “language, time and keyboard selection” screen, and then click Repair your computer link on the next screen (see the screenshot below) to access the advanced startup options screen. For step-by-step directions, refer to our how to open advanced startup options when PC is not booting article. Step 2: When you are at the advanced options screen, click Uninstall Updates tile. Step 3: Next, click Uninstall latest feature update tile. 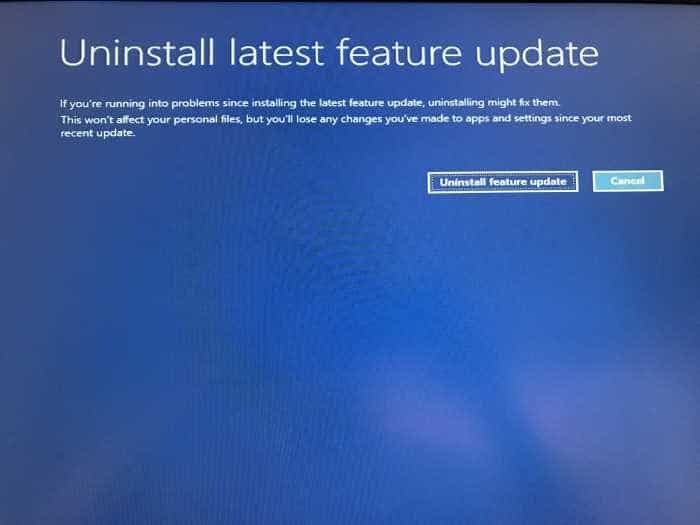 Note that the screen is currently offering us to uninstall only the feature update as there was no quality update was installed in the recent past. If your Windows 10 has recently received a quality update, you might get an option to uninstall the quality update as well. Your PC might reboot once after selecting an option. Step 4: You will now need to select your user account and then enter the password for the account to continue further. Step 5: Finally, click Uninstall update button to begin uninstalling the recently installed update(s). 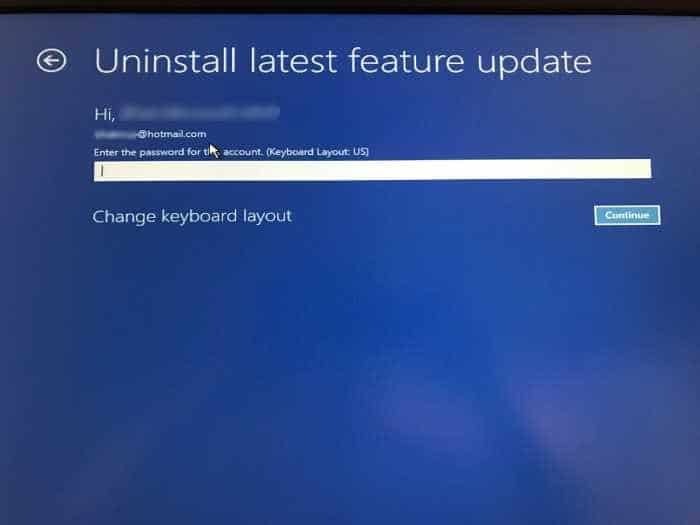 If you have selected to uninstall recently installed feature update, Windows 10 will start restoring the previous version. The uninstall job might take between 5 to 20 minutes. Your PC might restart a few times while uninstalling updates. Once done, you will see the lock screen. Hi, if you don’t have media you have to interrupt the boot process 3 times to get to safe mode. You wait for the windows logo and turn off the machine again 3 times in a row and then the system will boot into the advanced options. I do it by pushing the power button till the machine shuts down, then reboot again. There is no other way to get to safe mode now! Then you have to edit the group policy to turn off windows update, otherwise like me you will have the next windows update come along and crash the machine again!!! Did you really take a photo of a monitor, with a camera-phone? BeGoneThot.jpg not found. Please try again, or hit browse to specify file location.